Since a gunman killed 17 people at Marjory Stoneman Douglas High School in Parkland, students from the school have been speaking out about gun violence. They have been joined by peers from around the country who have skipped class or marched in protest. Some even lay down on Pennsylvania Avenue in front of the White House to symbolize the dead and urge President Donald Trump to limit access to firearms. 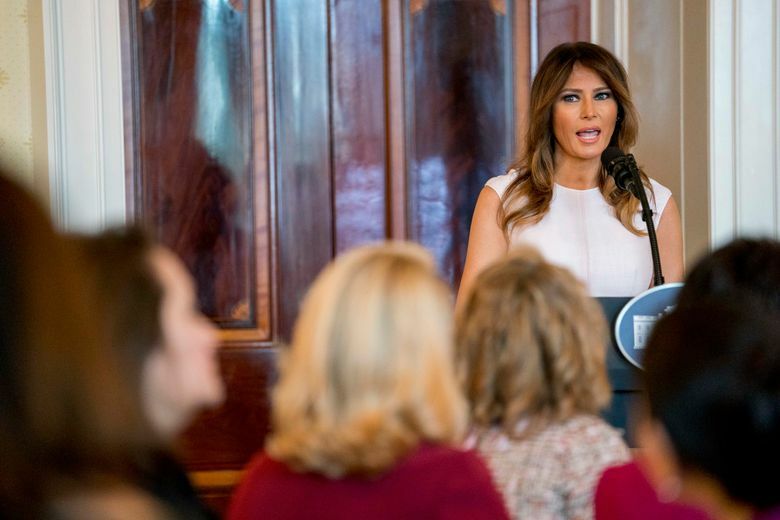 Mrs. Trump said, as a parent, “I cannot imagine the kind of grief a tragedy like that brings” but that she has learned as first lady that tragedy often reveals the “strength and resilience” of the human spirit. “I have been heartened to see children across this country using their voices to speak out and try to create change. 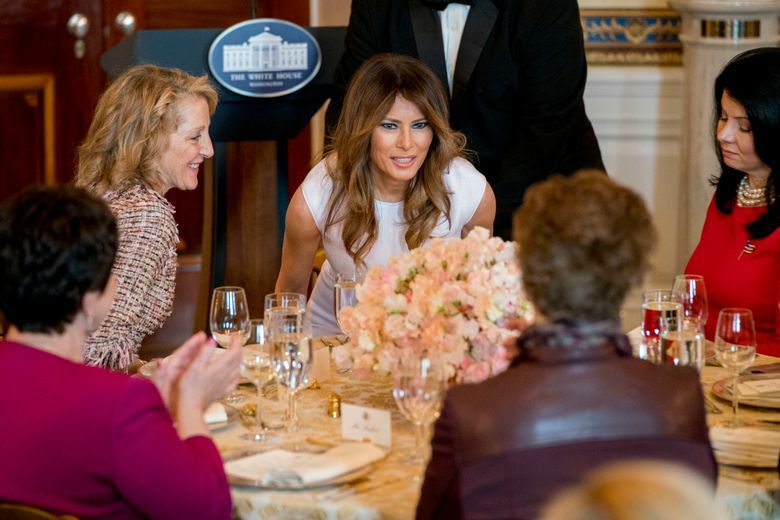 They are our future and they deserve a voice,” she said during brief remarks at a luncheon in the White House Blue Room for spouses of the nation’s governors, who were meeting in Washington. 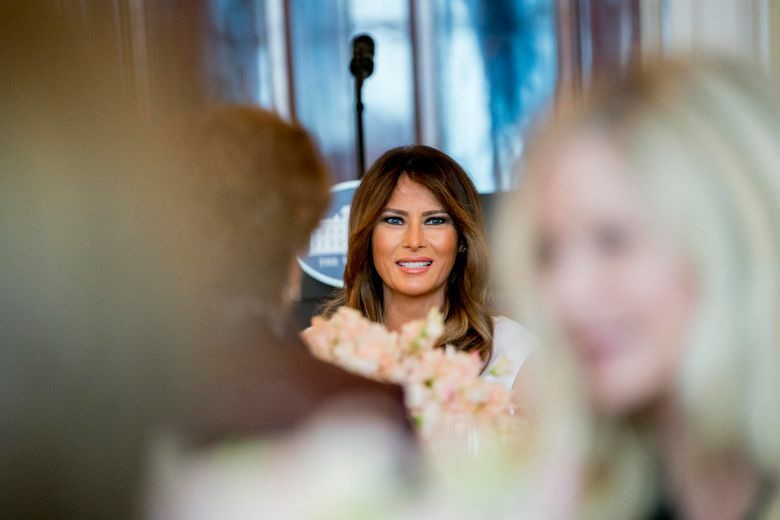 The first lady accompanied the president days after the Feb. 14 shooting when he met in Florida with victims and first responders. They have an 11-year-old son, Barron. Mrs. Trump is focusing her work as first lady on the well-being of children. 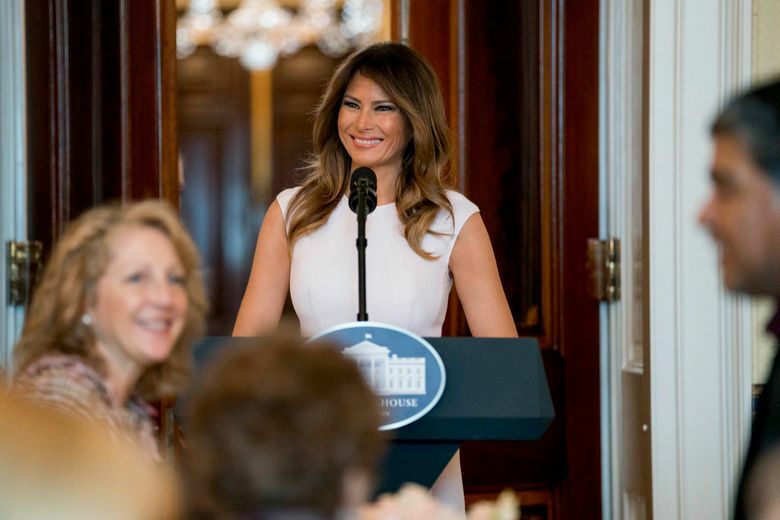 She asked the spouses to commit to promoting values such as encouragement, kindness, compassion and respect in children. “With those values as a solid foundation, our kids will be better equipped to deal with many of the evils in our world today, such as drug abuse and addiction and negative social media interactions,” she said.